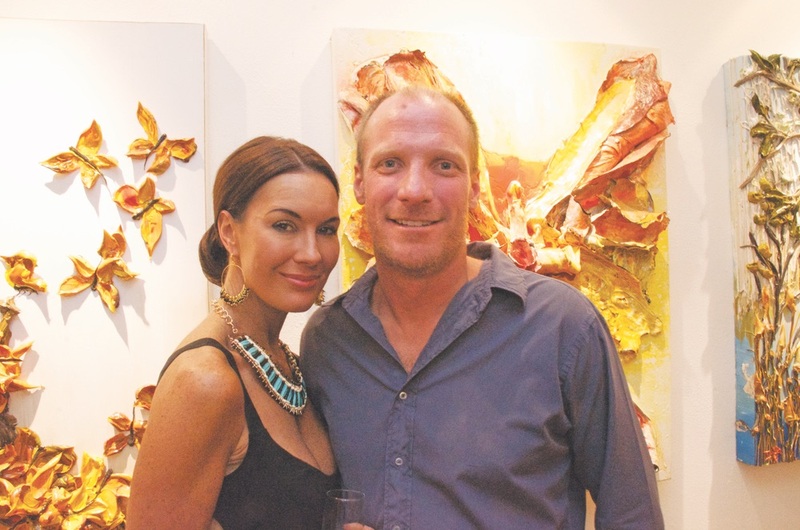 On September 26, philanthropists and art collectors from South Walton and beyond gathered at Justin Gaffrey’s Studio/Gallery in Blue Mountain Beach on Scenic Highway 30-A for the ART of Giving event and the culmination of an online silent auction featuring over a hundred of Gaffrey’s paintings. The silent auction, which was presented online at BiddingForGood.com, raised over $90,000, with admission and raffle ticket sales bringing the total for the evening to well over $100,000. All proceeds from the event went directly to Food For Thought Outreach, Inc., a nonprofit organization based in Walton County, Florida. Food For Thought works to provide Walton and Okaloosa County children in need with backpacks full of easy-to-make meals during weekends and holidays, when they are not getting breakfasts and lunches served at school. This allows them to focus on development and education instead of where their next meal is coming from. Since 2010, founder Tiffanie Shelton and Food For Thought Outreach supporters have increased the program to be able to feed over two hundred children in the community. “I am inspired by the people in my life who move me to help, and I am fortunate to have the opportunity to do so,” Justin Gaffrey adds. Gaffrey and his director, Christy Milliken, hosted the event, with the quirky, beautiful Justin Gaffrey Studio/Gallery in Blue Mountain Beach serving as the backdrop. Patrons mingled over cocktails, brews from Grayton Beer Company, and delicious fare prepared by renowned chef Phillip McDonald of Table Five and Justin Gaffrey himself. Kyle Paxton provided ambience for the crowd as he played the hammered dulcimer. But, as the name rightly suggests, the night was about the art of giving. Gaffrey’s brilliant, sculptural artworks to be raffled off adorned every wall, were stacked around the studio, and stood alert on easels in the front courtyard and lakeside backyard for patrons to peruse. Spirits were merry and charity abounded as friendly bidding wars ensued throughout the night, with spectacular result. It was a splendid evening for a wonderful cause. Sponsors for the event included Summer House Lifestyle, Beachy Beach 30A Real Estate, VIE, 30A.com, SoWal.com, Destin Shines, M Public Relations, Wine World, CopySystems, and Red8 Creative. Thank you to everyone who helped make this beautiful event come together to help feed the children in need of our community!